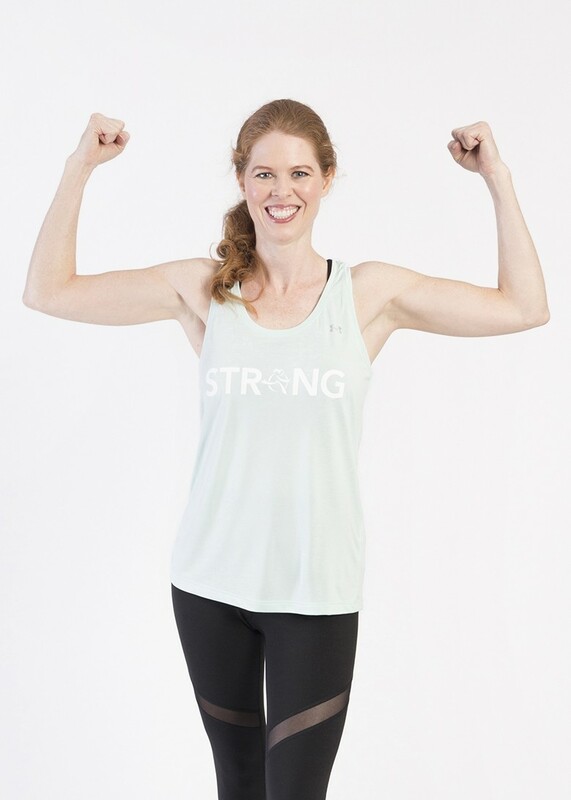 Celebrate your inner strength with Under Armour ‘Strong’ Tank Top. The Under Armour fabric wicks sweat for cool comfort and features anti-odor technology. The super soft UA Tech fabric provides an incredible all day comfort. 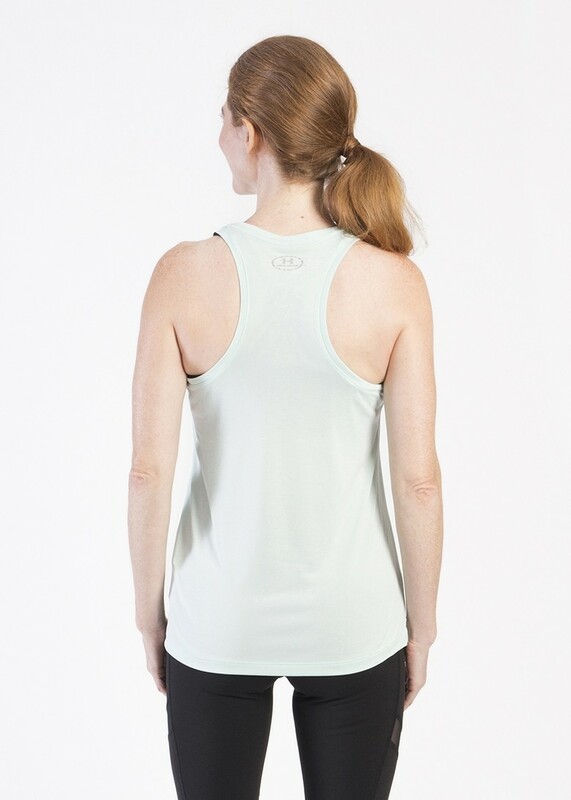 The fit is a relaxed fit with a classic racer back design. Made from 100% polyester. 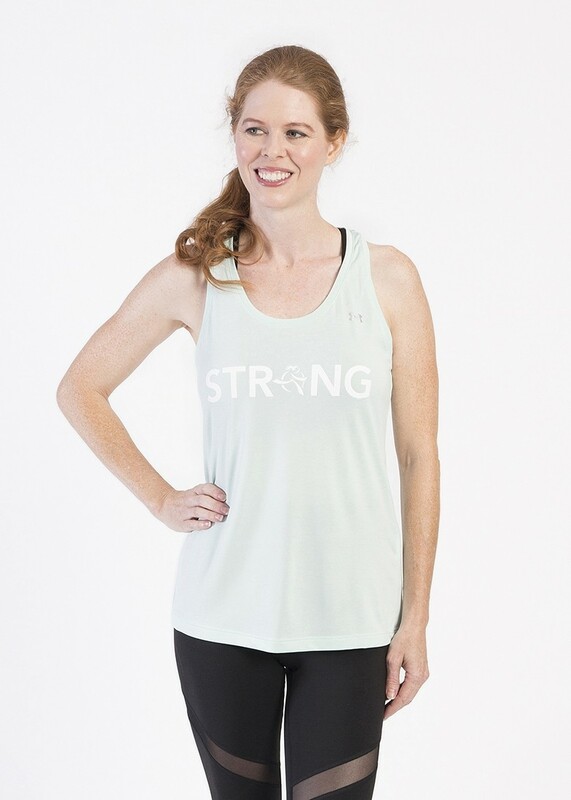 The model is 5’ 7” and is wearing a size Small. Love this tank! It's breathable and lightweight which worked well for me on my most recent 1/2 marathon.